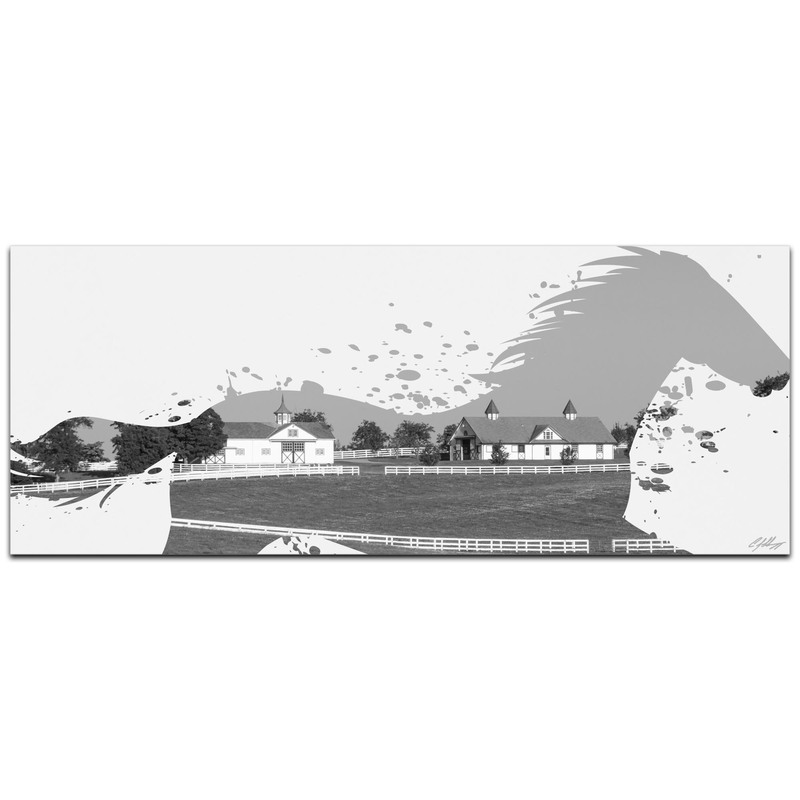 Horse Ranch Gray is an eclectic style artwork crafted from high-grade, rust-proof white aluminum for a lightweight body and indoor/outdoor versatility. It is part of the latest series of nature-themed contemporary metal gicl��_��_e prints by Cincinnati artist Adam Schwoeppe. With all of the debate surrounding climate change, global warming, habitate encroachment, poaching, and hunting, this line of animal silhouette art is our artistic way of encouraging animal preservation and issuing a reminder of the beauty of Mother Nature and the global efforts needed to preserve Her. The acrylic inks are applied directly to the metallic surface in crisp hues of black, white, light grey, and charcoal with lightly textured contrast between the semi-gloss white and the satin matte colors. It is designed to be an eye-catching way of decorating with a focus on western. The unexpected industrial materials and durable finishes make this animal silhouette a popular choice for everything from upscale hotels to harmonious day spas to modern corporate offices. 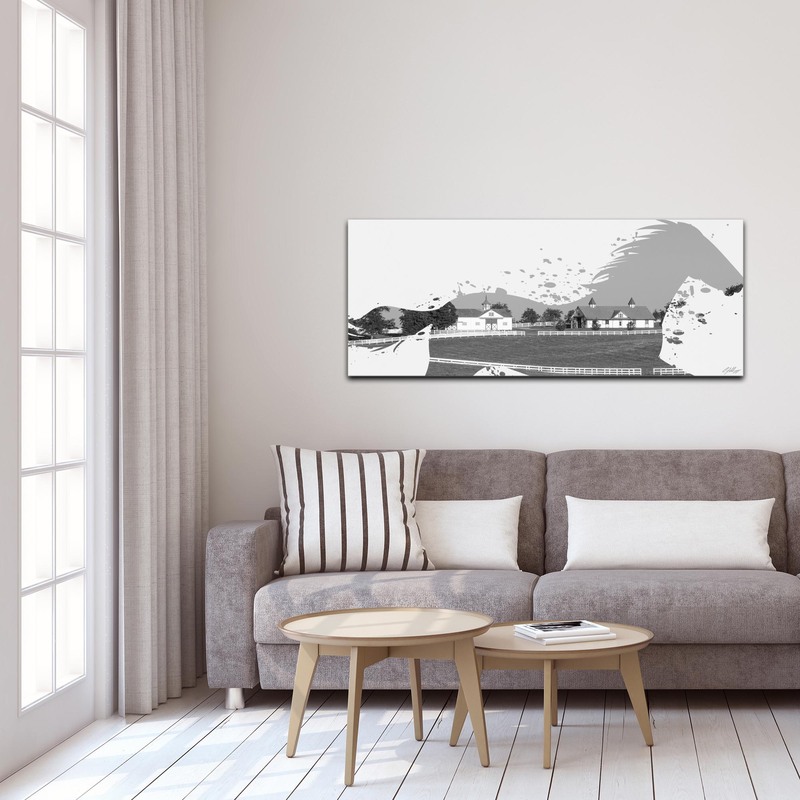 This unique hybrid/fusion between landscape photography and horses artwork is a creative addition to our Western Wildlife/Nature Decor collection. Finish/Care: Suitable for indoor/outdoor placement. Artistic semigloss finish on white metal. Wipe clean with soft cotton cloth, and if necessary, warm water and a mild hand or dish soap.